pensum wrote: Note that there is also simply making a connection (pa'i dbang gis), such as when a lama touches a text or statue to one's crown, sometimes they will do this when giving a particular student permission to read and study that particular text before the student has had the opportunity to receive the empowerment or reading transmission. I'd like to hear more specifics about the form and function of a pay wang gi, if at all possible. Before these discussions about empowerments, I only knew of the generic expression "wang" and the specific terms wangkur and jenang. Is this "connection" what most people are referring to when they speak of a "provisional empowerment," or is that something else? Since texts and statues are representations of body and speech, respectively, could anything consecrated/blessed/designated by one's lama serve as the basis for a pay wang gi until such time as the appropriate level of empowerment can be obtained? H.H. Jigdral Dagchen Sakya has consecrated recorded DVDs which contain compressed spreadsheets of mantras for use in prayer wheels... so could that have implications as well? Ah, we forgot to mention this type earlier, so perhaps Malcolm will be so kind as to explain exactly what a guidance manual empowerment (pod khrid dbang) is and its purpose. A poti lung dbang is part of a larger empowerment used to grant permission to read and transmit a text (usually the root text of the cycle) without having to go to the effort of actually doing so. 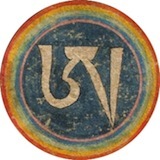 In this case then, some Lamas like KDL would recite the empowerment mantras from the extended seven line prayer, for example, and give an abhisheka for a text in this way, in a very condensed way, he would call this the dpe dbang. He actually did this for whole collections of texts such as the Rinchen Terdzod and so on. Is poti lung wang something like ka-tad? Malcolm, can you explain ka-tad in terms of lung, ti, and wang? pemachophel wrote: Is poti lung wang something like ka-tad? Malcolm, can you explain ka-tad in terms of lung, ti, and wang? It is the on that has the request for the four empowerments amended to it. Can nothing more be said regarding the context and features of a pa'i dbang gis? Would making such a connection only allow reading and studying the text, but not include ritual permission to practice it? Or would you be enabled to perform the sadhana by invoking the jnanasattva but not the samayasattva (i.e. enacting it with front visualization but without self-visualization)? Can any of the types of empowerments we've discussed so far be said to be provisional, and therefore require followup (other than to receive the reading transmission if it's not included during the ritual)? In general, are there any particular reasons for a lama to bestow a jenang or jinlab rather than a wangkur (other than due to time and supports/substances available)? Would making such a connection only allow reading and studying the text, but not include ritual permission to practice it? Or would you be enabled to perform the sadhana by invoking the jnanasattva but not the samayasattva (i.e. enacting it with front visualization but without self-visualization)?? I received this recently, Rinpoche told me I was allowed read and study the teachings, nothing else. at the Nyingtig Yabbshi teachings .There was a whole pile of texts even a hard drive ? pensum wrote: What i find interesting here is that the empowerment manuals were composed later, though the Desum had been passed on several times prior to Kyungtrul's first attempt at composing a manual based on how Samten Gyatso gave him the empowerments. Then not being able to figure out Kyungtrul's arrangement, the 2nd Neten Chokling gave the empowerments to Dzongsar Khyentse, Katok Situ and Shechen Rabjam without the use of any manual. All of which leads me to wonder in what manner were the empowerments given? Did Neten, Samten Gyatso and the earlier lineage masters just improvise as they went based on the basic traditional formula used for the four empowerments, providing their own explanations of the included teachings? From TUR's account we can surmise that the basic arrangement and procedures of these pre-text empowerments did conform to that found in the manuals as in both of the early cases the manuals were written based on how the empowerments were given to the author. And we know that they didn't just do anything simple as it took days or weeks to give them all, so what did it really entail in these cases and how did they actually go about giving the empowerments? I find this really interesting as well. I'm thinking about the role of these kinds of additions and wondering why they're necessary in the first place, does anyone know? Is an 'empowerment manual' a guide for the officiating Lama to giving the empowerments? Is there then something missing from the gtérma such that a manual is needed and does the manual make the empowerments more elaborate than they otherwise would be? In that sense does the gtérma contain something more bare bones which is then slotted into an existing protocol for the giving of empowerments? Malcolm wrote: No, since Shangpa transmissions exist in other schools than Kagyu. Then there is the fact that they all, for the most part, pass through another Nyingmapa, Thangthon Gyalpo. Don't get me wrong, I am not dissing Shangpa, it is just that gtor ma empowerments do not exist in the New Tantras at all. I remember there's a torma based mother tantra dbang of chod, black troma, said to be from Padempa Sangye lineage, in collection of sadhana. (for its length it looks like a jin rlab, but I think the name is dbang) Don't know if it has any link to Nyingma tradition. gter ma is usually pretty short and concised on itself. The author (Yeshe Tsogyal etc) assumed that the person know what to do. There's not really existing protocol, but there is things in tradition and in theory have to be done. Usually they will be indicated like 'here the teacher do A and B and then C'. Teacher either has to find the ritual of A, B and C from some other texts or write a new ritual for it. A readily written empowerment mannual helps the teacher work more easily, so that he doesn't need to have six different texts laying on table and to jump from this page of text A to another page of text B. Of course, if it's written by a great master, it would clarify some difficult points in the gterma text and give wonderful insights as well. conebeckham wrote: I'm not Malcolm, but I will hazard a relatively uninformed guess. I think torma as representation of deity is more of a Tibetan thing--torma offerings (Baling---or "cake offering") are found in Indian texts, of course, but I'm not sure if "tentors" are found there. Hopefully Malcolm can reply. But in general "TorWangs" are actually JeNangs, and Jenangs can stand alone, as shorter rituals. (As Malcolm alluded to earlier, many/most full "Wangkurs" also have Jenangs at the end...they're often included as a discrete part of the full Wangkur). Anyway, It's a lot easier to make a torma, even an elaborate one, than it is to make a Sand Mandala, or a painted mandala. So, for a short "empowerment" (A Jenang, usually, or Jinlab) a torma as deity representation makes sense. mmmm, I think we need to be a bit careful here. The collection of sadhanas contains both gsar ma and rnying ma transmissions, weighted heavily towards the former, however. Yes, but that specific ritual claims that the lineage is from Padampa Sangye, and no Nyingma master was mentioned (at least from what I remember). Indeed, however, the system of gtor ma empowerments does not exist in the new tantras at all. Jikan wrote: We thought it appropriate that Khenpo's email should basically have the last word. In this case it was an evasion, and I can understand why, since the correct answer is actually no, one cannot receive an empowerment from a recording. Privileging someone's answer because of their title, in absence of any clear scriptural precedent or reasoning is pretty lame. It would follow then that you can't give a or receive a transmission in the dream state either, yet Nyala Rinpoche Rigdzin Changchub Dorje told CHNN when CHNN asked for transmission that he had been given the transmission already by dream, it was given in a dream before they met, only thing is CHNN had his own doubts about receiving it that way why? because it was not "his dream". CHNN gives this true story many times during Open Webcast as you know. Just because CHNN didn't have that dream himself and the Terton had the dream does not mean that Terton Changchub Dorje wasn't able to give him that transmission that way, or that he did not give the transmission that way, because when your Terton teacher says you got it you should try your best not to doubt it, try to go beyond limitation, whether it was Changchub Dorje's Dream or not does not matter if Nyala Rinpoche Rigdzin Changchub Dorje says to the student (in this case CHNN was studying with his teacher Changchub Dorje and was "the student") that you got it, you should try not to have doubts about it, instead CHNN insisted on being given the regular route of waking time formal somewhat elaborate empowerment like what he was used to back at "College" from the Terton, and as you know "College" refers to when CHNN was in the Sakayapa Monastic "College", so giving the formal empowerment the way CHNN understood empowerment at the time, was a request he had made of of Changchub Dorje even after he was told he already was given the transmission, and in actuality it was not so easy for Changchub Dorje to do. So imho when Dayton Ohio Sangha had no doubt that Garchen Rinpoche could give empowerment by the recording, it was as if they were taking him at what they understood to be Rinpoche's word. Even CHNN couldn't take Changchub Dorje at his word when they first met, he could not believe he was given empowerment before they met already in the dream state, and that imho is because he didn't have a whole lot of mileage at the time with a Dzogchen master his teacher Chang Chub Dorje, it was because CHNN was still becoming Changchub Dorje's student, still learning, and understanding what it meant to be Dzogpachenpo, so he had a major big doubt, but I feel after a while of knowing Changchub Dorje that CHNN of course knew 100% that Chang Chub Dorje could give empowerment in the dream.